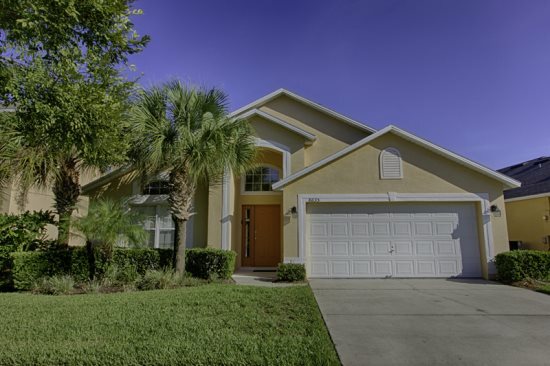 This spacious four bedroom, 3 bath luxury villa with optionally heated private pool is situated on the exclusive Emerald Island Resort (the nearest to Disney). 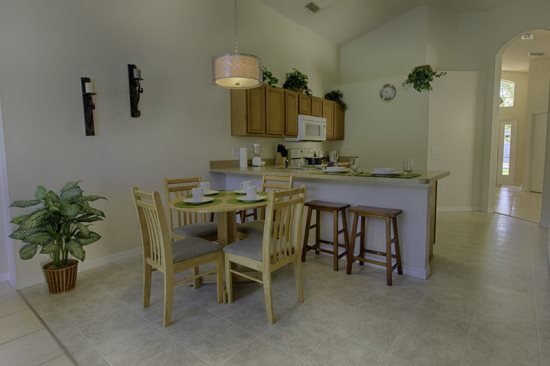 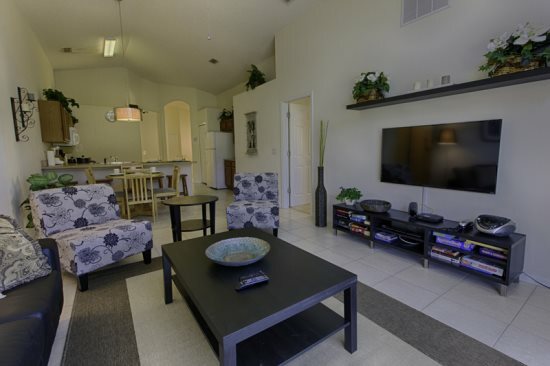 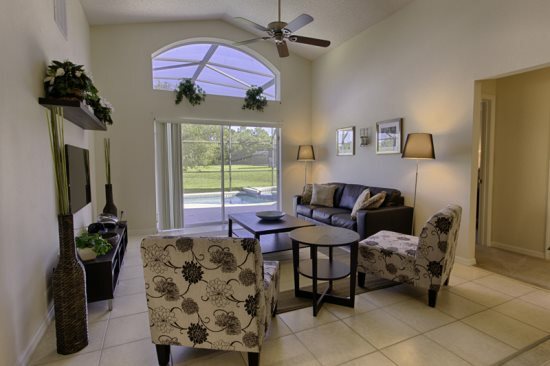 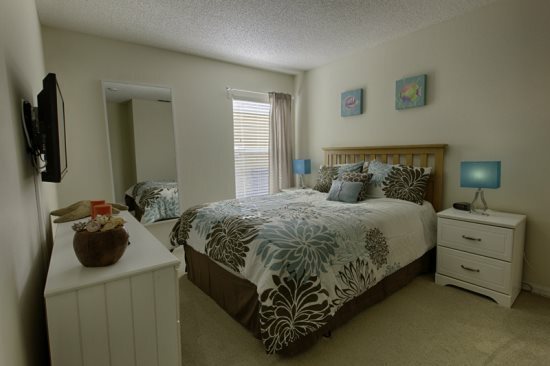 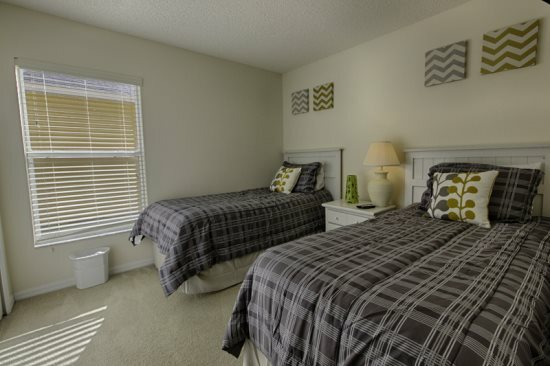 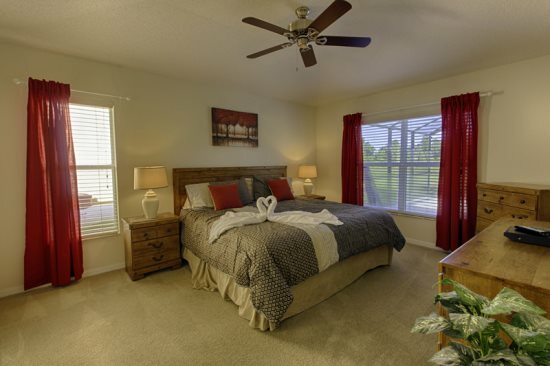 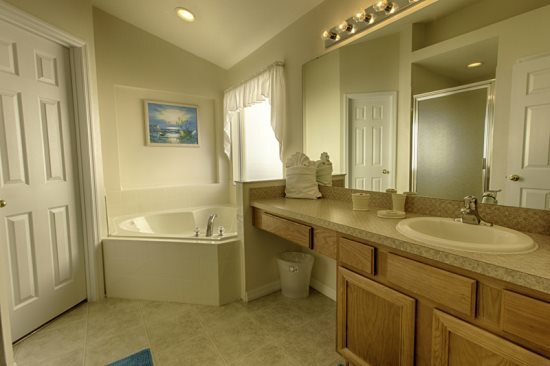 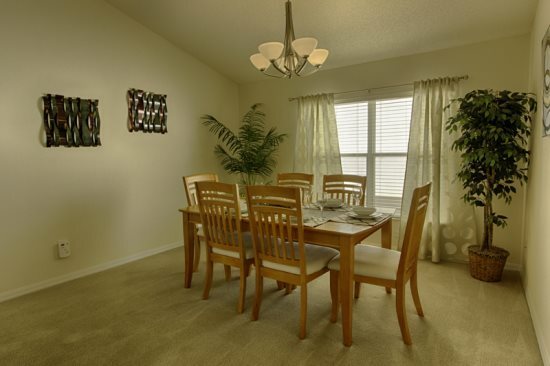 It is located just minutes from Disney World and within two minutes drive of restaurants, shops and supermarkets. 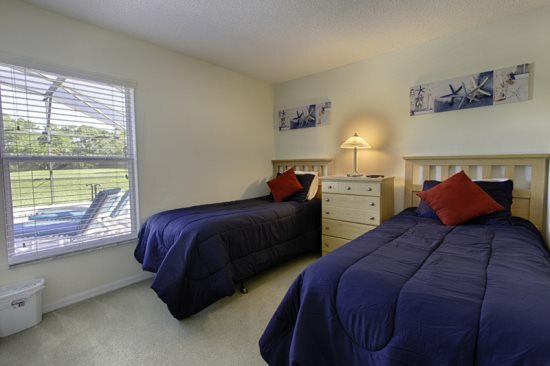 Located on the less congested south-west side of the Disney Parks for faster entrance and less traffic! 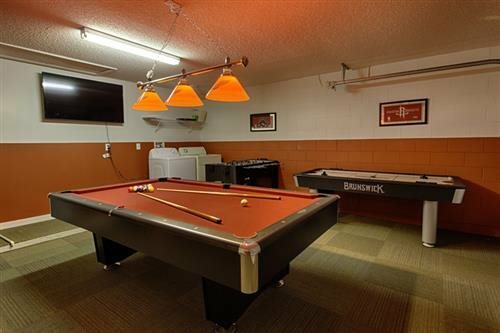 Guests have full use of all the facilities at the Resort including The Club House with Air-Conditioned Fitness Center, Games Arcade, Sauna, Internet Cafe with High Speed Internet Access, Community Lounge with Wireless Internet Access and Large Screen Cable TV, Tennis Courts, Volleyball Court, Children's Play Area and Beautiful Nature Trails which wind through the resort's natural woodland. 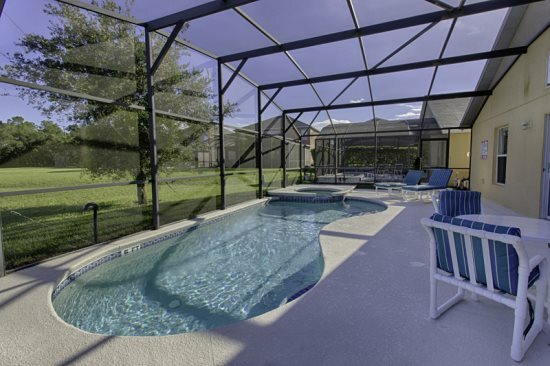 In addition to my Private Pool and Spa guests also have use of the Resort's larger Heated Pool and Spa with licensed Tiki Hut bar for poolside drinks and snacks. 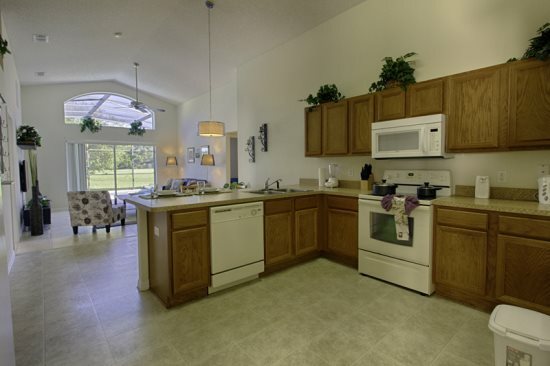 There is On-Site Concierge Service in the Club House, where there is also a Sundry Shop. 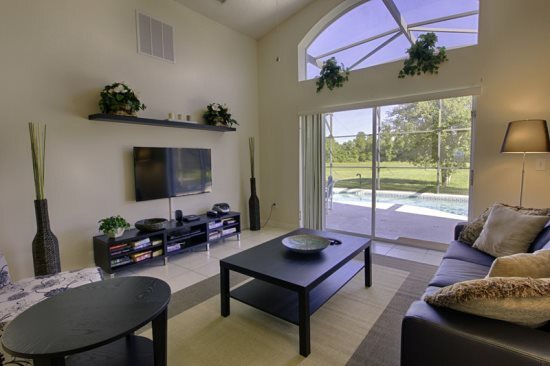 The villas are set in over 300 acres of woodland, approached via an elegant boulevard with lakes and fountains, which leads to the gates of this prestigious resort where the gates are manned 24 hours a day, seven days a week.